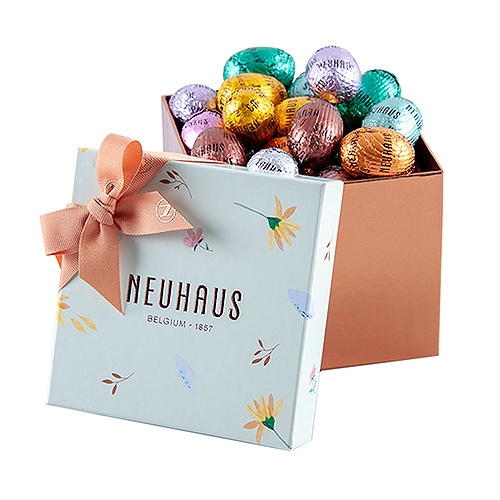 A classic gift box filed with chocolate Easter eggs: the ideal gift to put on your breakfast, brunch, or coffee table on Easter. This lovely gift box decorated with spring flowers is filled with 350g gourmet assorted Belgian chocolate Easter eggs. It makes a wonderful gift for friends, family, or to treat employees and colleagues in the office.